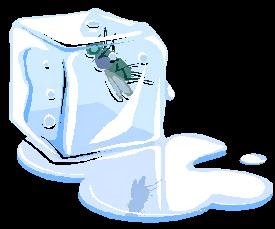 My Two Cents Worth (Before Inflation): Author Earnings 3rd Quarter Report: Making an Iceberg from an Ice cube? Author Earnings 3rd Quarter Report: Making an Iceberg from an Ice cube? Hugh Howey (author of the Wool series published by Kindle Direct Publishing) published his July 2014 Author Earnings Report. Howey is an unabashed promoter of self-publishing and of Amazon, and why not, he’s done very well by both. However, his success does not mean he is an expert on publishing in general. Many people have questioned the methodology in his previous reports. Essentially, he pulls data from Amazon’s eBook “bestseller” lists. Given Amazon's "bestseller" lists currently contain around 120,000 books, [and doesn’t that say something about Amazon’s marketing? ], Howey estimates that covers about half of Amazon’s ebook sales. Using an ebook’s Amazon ranking, he projects the number of sales for each book. He then uses those figures to “prove” self-publishing is much preferred over traditional publishing. Looking at sales from 120,000 books sounds impressive. However, of those books, only 40,000 had any sales on July 14, 2014, the day the data was harvested. Of those 40,000, roughly 10% sold a single book that day. Only 15,500 books sold more than 10 copies on the chosen day. Facts, as taken from his report: Indies sold 31% of eBooks on Amazon, Big 5 sold 38%, Small and Medium Publishers sold 20%, and Amazon Publishing (segregated from other small publishers because of its relationship with the Amazon online sales) sold 6%. By calling the collection of thousands of Indie authors a cohort, he asserts they are the largest publisher. EXCUSE ME? Are Indie authors in a profit-sharing plan so they can be combined and share their wealth? How is it possible to consider traditional publishers separately at the same time Indie authors are lumped together? This construct is a fiction of the greatest order. Malarkey such as this gives truth to the statement that “There are lies, damn lies, and statistics.” Talk about a bad use of data! Adding the Big 5, Small and Medium Publishers, and Amazon Publications from Howey’s data (no matter how flawed), here’s what he should have concluded: Even on Amazon, ebooks from Traditional Publishers Still Outsell Indie Published eBooks almost 2-1 [64% to 31%]. First, let’s put some (implied) qualifiers in here: (1) we’re talking ebooks only, and (2) we’re restricted to Amazon sales. Now, to the facts from Howey’s report. To determine royalties, he takes the imputed sales data based on Amazon ranking, applies the known book price to the sales, and imputes author royalties based on assumed rates. Although self-published authors can choose from two royalty scales, for eBooks most will choose the 70% rate, and that is what he uses. For the big 5, Howey assumed a 20% royalty. (His calculations show Amazon takes 20% off the top, the publisher pays a 25% royalty on the remaining 80%). While 25% is an “industry standard,” I have read that some best-selling authors (just the sort of people included in Howey’s report) have negotiated higher rates. Therefore, it is possible that the Big 5 author royalties are understated, but I have no way to quantify by how much. I know some small publishers pay higher royalties than 25%. My own royalties for Kindle books have averaged 33% of list price—that’s 165% of Howey’s assumption . I feel quite confident when I say the royalties computed for small and medium publishers are understated. Howey’s calculations show Indie authors earned 39% of total royalties paid, the Big 5 authors earned 37%, authors with small and medium publishers earned 16% and Amazon published authors earned 6%. Depending on how understated the big 5 royalties are, the report might have been reasonable to claim that “Self-published authors earn more in royalties from ebooks sold on Amazon than do the Big 5 authors,” although even that could be a stretch. Using even this modified statement to crow about Self-Publishing’s superiority misses several large points. If Howey took into account all ebook sales regardless of vendor, his beloved comparison falls flat. When we also realize that all Big 5 authors are selling hard covers or follow-on paperbacks that generate royalties as well, not to mention what might be happening in international sales, to make any statement about royalties for Indies vs. Big 5 is specious. One further point: Howey’s purpose of these studies is to highlight to individual authors why Indie publishing is superior to traditional publishing. An individual author is not a class of authors, and it is important to disaggregate the numbers. Here’s a different way of looking at some of Howey’s results. Of course, if we removed the 80,000 books with no sales from the equation, results change and voilà, now Indies do beat Big 5. However, Amazon tops both Indie and Big 5 by a 3-1 margin. So, shouldn’t the real story be that Amazon knows how to promote its own or knows how to pick ‘em or something trumpeting Amazon’s superiority? I am not saying Indie is better or worse than traditional publishing. Nor am I saying that having Amazon publish your book is the best of all worlds. I am saying that Howey’s data shines a narrow beam of light on one small area of author income. It is an ice cube in an ocean of data. Howey’s conclusions are flawed and unusable.